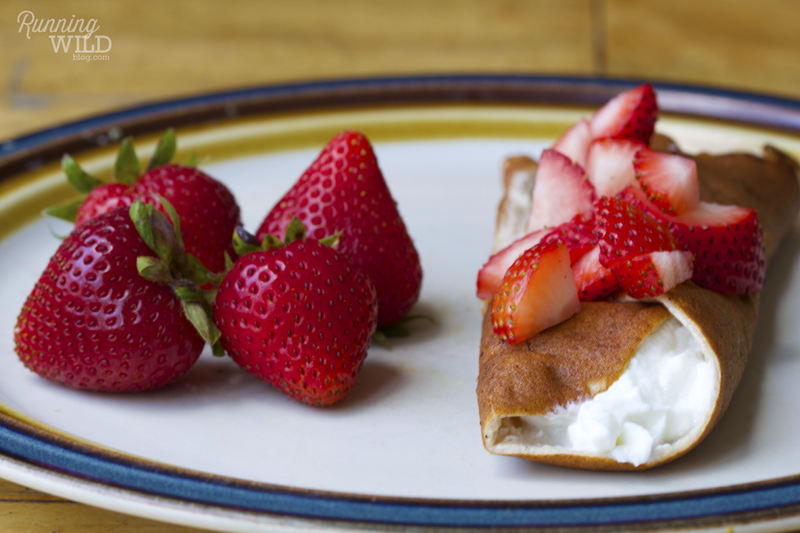 These protein crêpes were seriously amazing. They are a little hard to flip because they are so thin but definitely worth it! Mix all ingredients in a blender. Fry in a pan and add vanilla Greek yogurt & strawberries afterwards (or whatever you desire). yum! what brand of protein powder do you use? ?